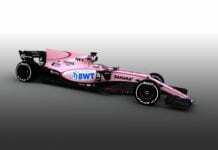 Adrian Sutil returned to a F1 car for the first time in 15 months yesterday, testing for Force India at Barcelona. Although there is no further official word on who will get the second seat next to Paul Di Resta, the German was optimistic that he had done enough to be considered. 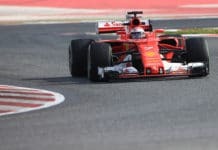 With rumours persisting Sutil was brought back to be placed in a shoot-out with young Frenchman Jules Bianchi, Sutil was adamant that he was only focusing on his own performance in the car after his time away from the sport. 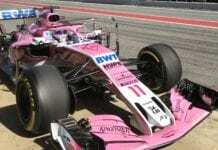 With 2014 engine regulations on everyone’s mind, as well as how to source sponsorship in such a difficult market, the decision made by Force India may be influenced by external factors. “I’ve done everything to do my comeback here. It’s up to them to decide and there’s one more competitor in there. For sure, it’s not all about driving, maybe there is also a bit of business behind it. I can’t do anything else. The ongoing saga of who’ll partner Di Resta has been one of the most interesting stories in the paddock this winter, but Sutil agreed that it needs to be sorted sooner rather than later. The new Pirelli compounds are causing concern up and down the grid. With a day of running with them under his belt, Sutil confirmed that they are gaining a certain notoriety.